For the people who have never danced before to those who have been at it for a while, RU Dancin’? is the club to join. RU Dancin’? 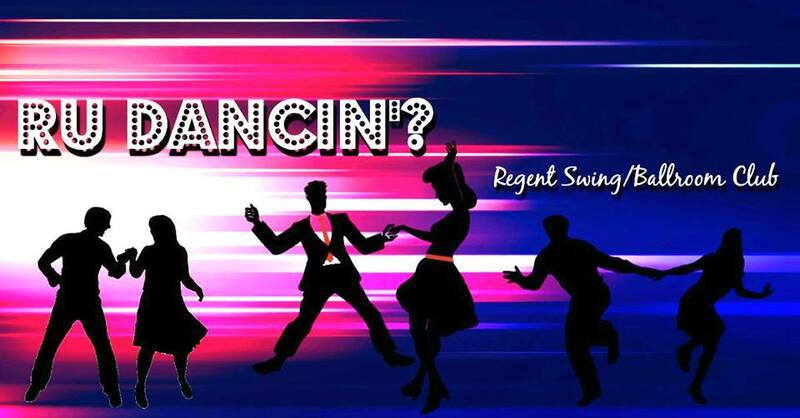 is Regent’s own swing (and now also ballroom) dance club. This semester, it is headed up by Jack Baugus and Jessie Stachurski, who have changed it up a bit from previous years. They still meet in the Ordinary from 8 to 10 on Wednesday nights, but each week they alternate between basic dance moves and more advanced ones. Also, they include some samba, rumba, and merengue dances in addition to swing. Jack, who’s a freshman, has been dancing professionally for three years, but started learning at age 12. What started as an activity to meet new people in the area his family had just moved to, has become a hobby that’s allowed him to compete up the coast to Philadelphia and become state champion in both Virginia and Maryland. Jessie, a sophomore, has been swing dancing since she got involved in Regent’s swing dance club at the beginning of college. She’s always loved dancing and took some ballroom dancing classes in high school. Since she’s never really been into sports, dancing is her outlet for physical activity and socializing. Both Jack and Jessie are natural teachers who happily help anyone who’s struggling with learning dance moves. They make RU Dancin’? fun and a great time to let loose after a long day of classes and work. RU Dancin’? is still going this semester thanks to Jack and Jessie’s passion for keeping it alive; they both love the community of the club, as the people in it sometimes bring food and hang around to chat afterwards. At some point, he and Jessie are hoping to start a competition team at Regent. RU Dancin’? is a fun club that’s open to anyone who wants to drop by. The first hour consists of teaching and the last hour is free dance. Join the RU Dancin’? Facebook group to receive updates on when they meet and any changes to the status quo.